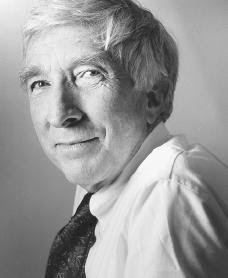 "If you had to choose a writer to report from the afterlife, could you do better than John Updike? Death needs no exaggeration, after all. I can imagine Updike — who died on Tuesday at age 76 — going to work joyously and methodically to describe his new surroundings. Those posthumous works would tell us something as round and substantial about the afterworld as Updike’s Rabbit books did about a certain time in a certain place called Pennsylvania. Not forgetting Updike's at best ambiguous relationship to religion, I'm sure the reports would be especially illuminating. And illuminating is exactly what we like at Lumunos.